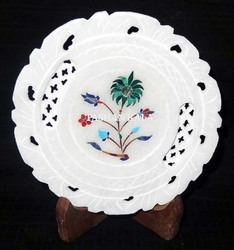 We are able to gain immense expertise in delivering Stone Inlay Home Decorative Plate to our clients. 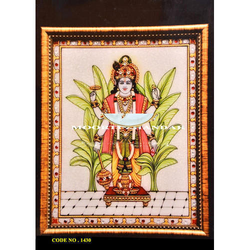 The offered range of Inlay Marble Plate is made utilizing high grade raw material such as stones, marble and sourced from authentic vendors of the market. Our client’s can avail from us fully furnished range of Home & Garden Decors .These can be used for the purpose of decoration as mantle piece or fire place. These ensure robust construction and are appreciated for smooth finishing .This is engraved and crafted beautifully and available in elegant design. These are highly popular among the masses. The T lite is a unique design by konzept art and is a hotseller in market. This is an elegant custom designed collection created from natural stones to match up with the distinct preferences of our customers. Our customers can avail from us a fascinating range of Marble Set. Our range reflect exemplary artistic skills of our professionals which makes them widely preferred by our customers. Marble Vase with golden painting.